Thanks to all the fans, followers, supporters, the people we interviewed, and the people behind the scenes of channelAPA.com to help make 2010 a successful year for channelAPA.com. We look forward to continued growth in 2011. Happy New Year and see you in 2011. The biggest story we broke this year was revealing the people who were selected for the K-Town Reality Show (aka the Asian Jersey Shore.) backed by Tyrese. Our post triggered an avalanche in the media about the show, while the Asian American community had both positive and negative reactions to the show without even one episode airing. You might not have to wait long. Rumor has it that the show has been picked up already. Get ready for more of Steve Kim, Scarlet Chan, Young Lee, Violet Kim, Joe Cha, Jasmine Chang, Peter Le, and Jennifer Field to hit the airwaves. They’re gonna shatter the stereotypical image of Asian Americans. Neck and neck with our K-Town post were the guys of Far East Movement. Their #1 song Like a G6 broke through the mainstream pop charts. FM landed on the top spot of the Billboard 100 and sent their hit single to double platinum status. We thought we would never see Asian Americans on the top of the music chart, but Far East Movement proved us wrong. Their free wired lifestyle got the attention of numerous high profile music artists and celebrities including Mike Shinoda of Linkin Park, Snoop Dogg, Magic Johnson, Lil Jon, will.i.am, and Bruno Mars. 50 Cent and Three 6 Mafia did their own remixes of the track too. Grab “Like a G6″ on . FM isn’t done yet. They’ve got more singles to release off their Free Wired album. Their current single Rocketeer is already moving up the music charts. JRA (aka JR Aquino) got a year end surge for his song “By Chance (You & I)” when the romantic love song was used in Wong Fu Productions x Ryan Higa’s Agents of Secret Stuff. The single was already a hit earlier in 2010 and prompted JRA to make the track available on . If you like his music, support JRA by getting his album Exposure. Love songs were big on channelAPA.com this year. The hit in the spring was the collabo between Tommy C x J.Reyez for the English remix of the Korean song “Wedding Dress” by Taeyang. The remix kept the original concept of the song intact, but reworked the lyrics for an English market. Look for Tommy C and J.Reyez doing more big things in 2011. Recently, they did a collabo with 454 Life Entertainment for the song Girlfriend. 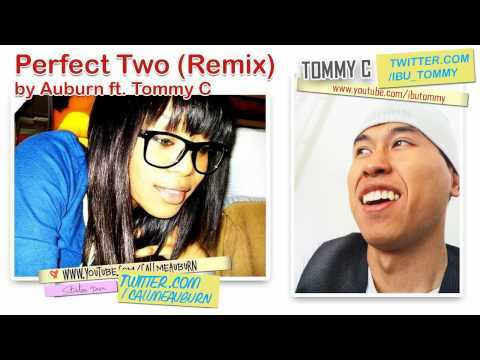 Tommy C lands another spot on the list with his remix of Auburn’s “Perfect Two.” The fun love song offers different pairings on how couples complement each other. It’s a cute song and fans really love it. You never know where Tommy C will pop up for his next collabo. BTW – he is part of the boy band IBU. Check out his original song 911 Emergency. Team Jumba enjoyed a lot of support from their online fans when they were on the Amazing Race Season 17. They didn’t get much face time on the first episode, but that quickly changed. We followed the father and son team all over the world. Kevin Wu even offered his own take as the episodes aired (See I hate tiny boats, We’re not Ghana make it, I Forgot My Buttpads, Jumping off a Bridge in Norway, I Fell in Love with a Russian Babushka, and Russian Mystery.) But alas, they were eliminated about halfway through. Ultimately, Kat and Nat won Amazing Race Season 17. As for the future of Team Jumba, a new reality show might be in their future: Jiggy with the Jumbas. During the summer, rumors were spreading as to whether Charice was joining the cast of Glee. When the first episode of Glee Season 2 aired, we found out that Charice was a foreign exchange student, Sunshine Corazon. Fans can’t wait for her to appear on the show again, but they’ll need to wait til 2011. Charice has been busy all year long promoting her self-titled album, which included Pyramid. See what her life’s been like through 30 days with Charice. Up and coming rapper D-Pryde was signed to the music label Mars Music Group out of New York. We were first on the scene to interview him on the new development and what it meant for his career. Listen to this guy spit fire and you’ll see why he’s going to make a splash in 2011 with his upcoming album. Listen to some of the tracks he released this year to see what to expect: Fireworks, Take off, Fly Away, and So Appalled. D-Pryde wasn’t the only artist that got signed that we got the scoop on. We also saw Joseph Vincent sign with Catch Adventures and Baiyu sign with JMD Records. Lil Crazed enters the list with his song “Lovers and Friends.” This isn’t quite a love song. It’s for those who can’t figure out if you’re lovers or friends or maybe both. Brenda Song shattered her Disney image in the movie The Social Network about Facebook. She’s ready to make the move out the world of Disney after this film. Our party theme music for 2010: Far East Movement’s Like a G6. We’re closing out the year with this song. This entry was posted in contest, mashup, movies, music, tv on December 31, 2010 by Kevin Hsieh - channel APA. afterschoolspecial unleased a new music video for the single “BE” before the new year. For the afterschoolspecial album release party for “It’s All in Your Head” back in October, Direct (Derek Kan from Magnetic North) and Taiyo Na came out to support. While they were all together, they decided to create a music video for their track. They connected with Scott Yoshimoto of MOVeMEDIA Productions and shot Derek and Taiyo’s parts the day after the party in San Diego with pickup shots of afterschoolspecial in Irvine in November. The video concept takes place in the realm of a comic book. It’s got that vivid color feel with the comic book format. The focus is on the heart of the song, which is finding a way to just “BE”. All the characters are going through some kind of intense, stressful situation. In the end, all they’re looking for is a way to just “BE”. And perhaps by the end of the video they’re able to find a way….or maybe it was all in their heads. Pay close attention to see Casey Nishizu rockin’ the channelAPA.com T-shirt. Props to afterschoolspecial for reppin’ channelAPA.com in their video. Get the track on . Also check out afterschoolspecial’s NAME music video by Wong Fu Productions. This entry was posted in music on December 31, 2010 by Kevin Hsieh - channel APA. 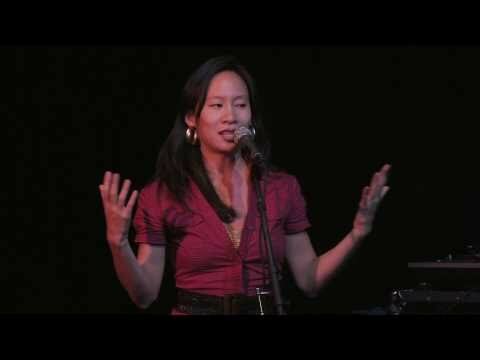 Def Poet Kelly Zen-Yie Tsai performs “Kindness over Genius” as part of Beau Sia’s Presents: I Miss You – The First Annual show featuring “the folks i miss” at The Bowery Poetry Club New York back in September 2010. In your twenties, you’re more captivated by genius. In your thirties, authentic kindness means much more. This piece is dedicated to workaholics and perfectionists. Be sure to check out her latest album Further She Wrote. This entry was posted in spokenword on December 31, 2010 by Kevin Hsieh - channel APA. Beau Sia, two time National Poetry Slam Champion, performs his spoken word poem “Bound by a line aka Asian Girls” at the Bowery Poetry Club back on October 2010. 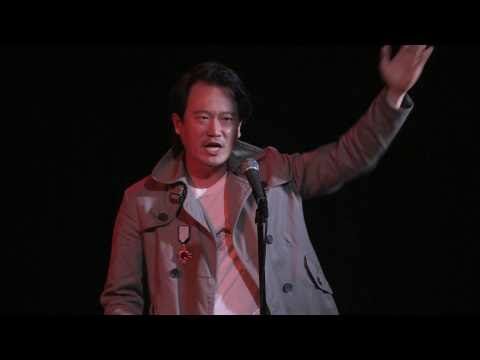 He breaks down the description of Asian Girls used in today’s society. Also see his other spoken word piece Asians, Asians Everywhere. Congrats to Patricio and his wife Melanie. This entry was posted in comedy, shorts on December 30, 2010 by Kevin Hsieh - channel APA. 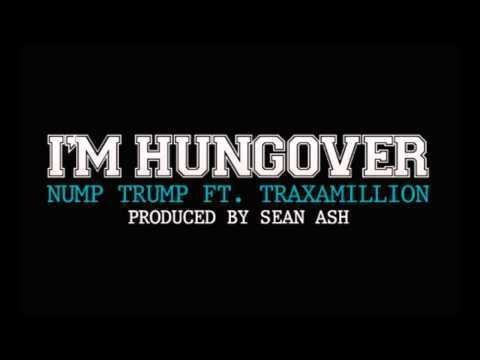 454 Life Entertainment dropped a new track “I’m Hungover” with Nump Trump x Traxamillion. The song samples the theme song from “The Office.” This single fits perfectly the morning after a party like Rock, Rock, Rock or a New Year’s Eve party. We could potentially see it being used for the next Hangover movie or Harold and Kumar film. You can download this hangover track FREE here. This entry was posted in music on December 30, 2010 by Kevin Hsieh - channel APA.